Many Neil Young experts and collectors stake the claim that his December 10, 1989 Amsterdam show is his most legendary acoustic performance in his forty year career. This hyperbole is partially due to the exceptional sound quality of the radio recording. The most of the praise can be attributed to the time of the set. Coming at the end of the eighties and Youngís erratic artistic experimentations, this show follows by two months the release of Freedom that many critics hailed as a return to form. Whatever the case may be, this is one of the most intense performances by Young captured in pristine sound quality. Swingin' Pig released the show soon after on Amsterdam '89 (Swingin' Pig TSP CD 076) in 1990. Six songs, Too Far Gone, Crime In The City, Eldorado, Hangin' On A Limb, Someday, My My, Hey Hey are found on disc five of the popular Perfect Echo set. The radio tapes made in Amsterdam are among the very best in the world. They carry a richness of tone, depth and clarity that eludes many from the BBC and American stations. Releases that use these sources are almost guaranteed to be pristine and worthy of collection. Young was joined on this tour by Frank Sampedro on guitar and mandolin and Ben Keith on dobro, keyboards, and vocals. it was very short with only seven shows in nine days beginning at the Teatro Smeraldo in Milan, Italy on December 5 and ending on December 13 at the Sportpaleis Ahoy in Rotterdam. Young joined The Alarm as a guest on Rockin' In The Free World the following evening at The Ritz in New York City, but that isn't really part of this tour. The set list is a good mix between new material from Freedom and classics. I've always wanted to do album reviews, but I've never really liked vlogs, so I might do them here. What do you guys think? Would you like some album reviews? I'm thinking of making a second blog for this. Let me know what you think. FAVORITE NEIL YOUNG ALBUM FOLKS? Mine's "After The Gold Rush" with "Tonight's the Night" at a close second. After the Gold Rush just has such a good set of songs. I really don't think there's a week song on that album. Every single song could be a single. 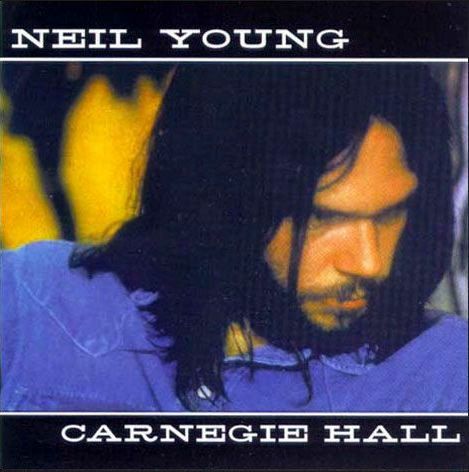 Although there are better versions of "Birds" out there, particually on Neil Young acrhives. OH and new live disc coming out June 12th! It's going to be his early 80's stuff. I'm so pumped for it! Probably the best Neil Young album... Unfortunately Neil never released it. I found this particular gem on on Chris Goes Rocks blog a couple of years ago. Now, you all know that blog was deleted and a lot of things are now lost to us and I feel that Chrome Dreams is something you just cannot miss. Neil Young was on a creative high in 1975. By the end of the summer, Zuma was finished, though still not released. Yet Neil carried on recording his new songs. Sometimes he recorded solo and sometimes with Crazy Horse. Lots of these songs would remain unheard by the public until quite a while later, but by late í75, Neil had already written and recorded versions of such future classics as Like A Hurricane, Powderfinger, Sedan Delivery, Pocahontas and Ride By Llama. He carried on recording in 1976. More great songs were put down on tape, such as Will To Love, Stringman and Campaigner. Some of us may feel that the Long May You Run album with Stephen Stills robbed us of the natural successor to Zuma, but Stills always suspected that Neil was holding back his best stuff for his solo album. That solo album was a work in progress throughout this period. Titles were reported in the press: Ride My Llama, In My Neighborhood, American Stars ëN Bars, Chrome Dreams. When American Stars ëN Bars was released in 1977, Neil had scrapped most of the material he'd been recording since late '75, replacing much of it with a series of rough hewn cowboy songs. Fun stuff to be sure, but had Neil committed the latest in a series of difficult to explain career suicides? Who else, except maybe Bob Dylan, would sit on a stash of such quality songs and not let the public hear them? Tracks 1 to 12 of this compilation are thought to be the unreleased Chrome Dreams album, readied for release weeks before Neil recorded those country hoedowns and rethought his strategy. Some of these song titles will be more than familiar to you, but the actual performances may surprise you. Powderfinger is performed as an unadorned solo acoustic song; Sedan Delivery, a second song destined for Rust Never sleeps, is presented in its pre-punked up arrangement and, in many peopleís opinion, sounds all the better for that. Pocahontas is the same performance as the one that made Rust Never Sleeps, but in its original "Naked Mix;" Too Far Gone wouldnít be officially released until the Freedom album in 1989, yet hereís a version from 14 years earlier with Poncho Sampedro adding a tasty mandolin part. The other six songs from the album were released unchanged on the albums American Stars ëN Bars, Comes A Time and Hawks And Doves, yet you may still be able to pick out slight differences in the mixes. Homegrown, for one, would seem to have a little more fire in the guitars. Have a listen and see what you think. We've chosen a select batch of bonus cuts to give you a further taste of just how creative Neil was during this fertile period. If the version of White Line (here retitled River Of Pride, maybe because Neil forgot to sing the actual White Line lyric) didnít make the Chrome Dreams shortlist, then its continued circulation among collectors is something of a mystery. Maybe it was pressed onto acetate as a possible contender for Decade, which Neil was also preparing at this time. Whatever the truth, itís a stupendous version of the song, recorded in 1975 with a loose and joyful Crazy Horse. Neilís remake for Ragged Glory in 1990 may have been fine but it doesnít quite capture the spirit of this earlier version. Campaigner did make Decade, but not before losing one of its verses. You can hear the full-length version here. Peace Of Mind is heard as an electric rock song played with the Horse and very different from the version Neil released on Comes A Time. And, as a nod to Zuma, we close with Crosby Stills Nash & Young. Human Highway was recording during the Stills-Young sessions in 1976. The song was always meant to be a CSNY track, but Neil had run out of patience by the Comes A Time LP. Now you can have a glimpse of what might have been, which, come to think of it, is also true of the whole collection. DOWNLOAD RESPONSIBLY. IF YOU LIKE IT, BUY IT. Most Young collectors have these recordings, but most of them have the version taken from the bootleg titled "Acoustic Young," which is missing two of the 22 songs: "Heart of Gold" and "A Man Needs a Maid." Here I've used the 20 tracks from "Acoustic Young" and inserted the missing songs in the original correct running order. Those two songs are take from the "River of Pride" bootleg, which I think has slightly lower sound quality compared with "AY," though you may not notice it. I've equalized the volume because the stuff was taken from two sources. Note that although these are soundboard recordings, they are not direct from the master. The tapes were passed around between friends until someone finally bootleged them. I consider the sound to be excellent for a bootleg -- especially one from 1976 -- though it's not official-release quality. It's a very enjoyable disc, and I consider it to be an essential part of a good Neil Young collection. This is one of my favorite bootlegs, enjoy guys!